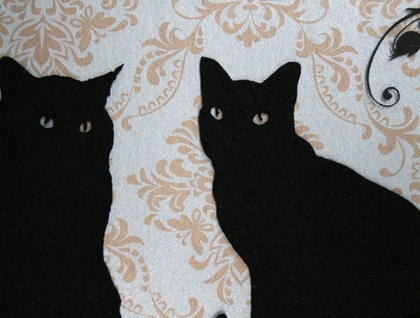 Lovely cats cut from black felt. 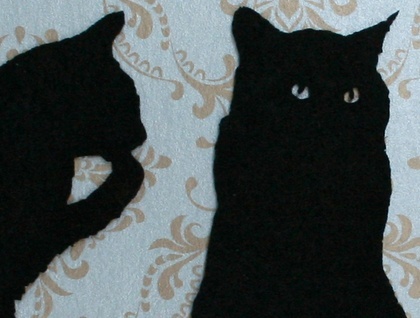 Each cat is approximately 6.35 cm (2 1/2 inches) high. 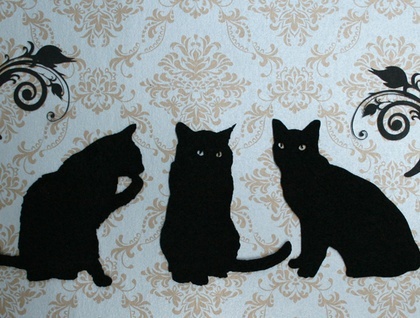 You get three cats ready to use for crafts, scrapbooking, applique or embroidery.